Have fun when you attend the ancient Roman party in High 5 Casino’s 284th game! If there is one thing that could be said about the ancient Roman gods, it is that they know how to throw a party! Pour yourself a smooth glass of wine as you attend this Roman affair! Explore the glories of these ancient gods and live in extreme opulence, being surrounded by spectacular power and delightful fun! 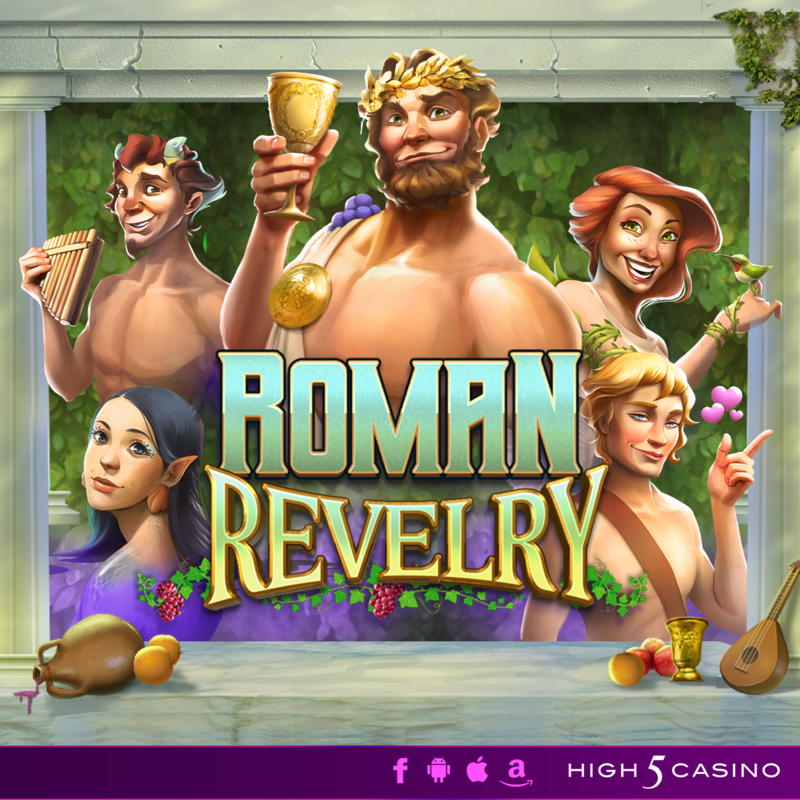 Get ready to attend the Roman Revelry to explore the luxurious glories of Blinking Bucks, Racking Up Riches, and Jackpots! Comment in the conversation bubble located on the top right corner of your screen and let us know what you think! Brew the ultimate potion to spellbinding wins in High 5 Casino’s 257th game! Your H5C lobby is going to be magical when Silver Enchantress arrives! A message has been delivered by her bewitched owl, requiring your presence to High 5 Casino. With the waxing crescent moon to sit high in the sky, it beckons the proper magical aura to brew this rare and powerful potion to everlasting riches. 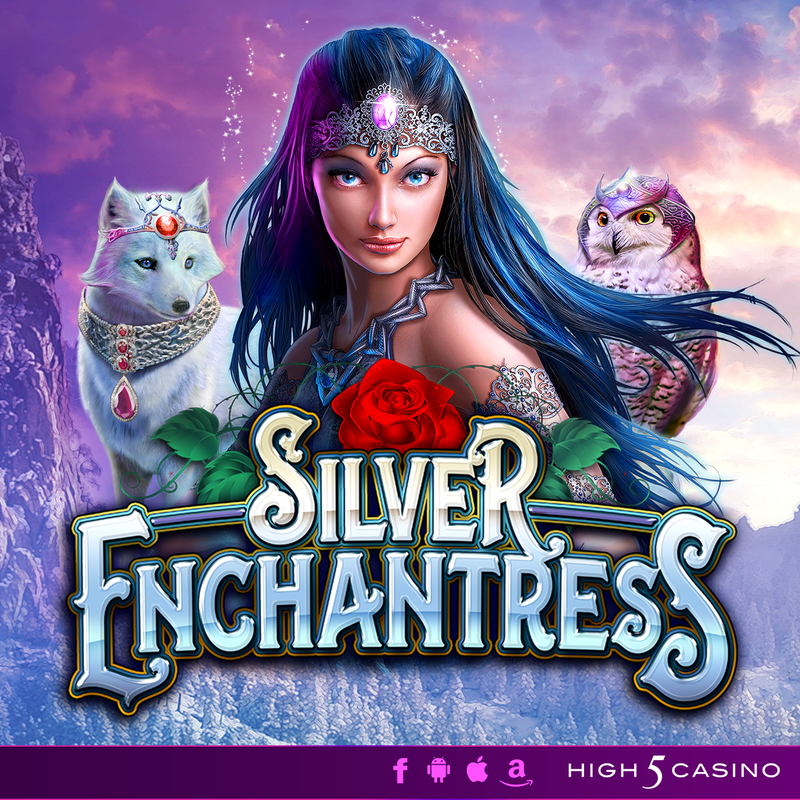 Join the beautiful and incredibly skilled witch and assist her in creating the perfect potion to spellbinding wins in Silver Enchantress! Do you believe in the magic of Blinking Bucks, Racking Up Riches, and Jackpots? Comment in the conversation bubble located on the top right corner of your screen and let us know what you think!